Over 360 people were killed and 1,900 injured after an earthquake measuring from 6.1 to 6.5, according to different estimates, toppled buildings in Chinese Yunnan province. 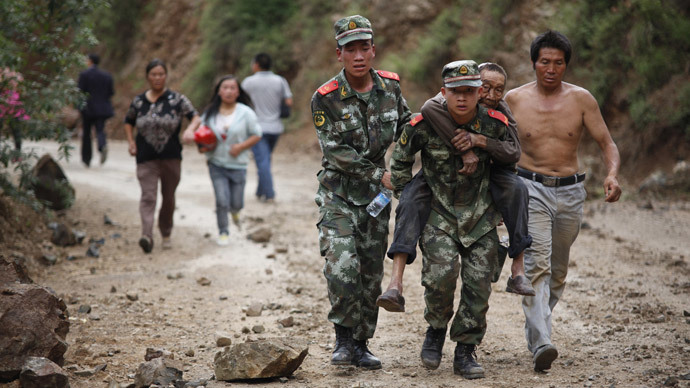 At least 1,300 people also from the county have been injured and 181 remain missing, Yunnan's information bureau reported. The province's seismological bureau said that another 49 people died and 102 were injured in Qiaojia county. There are also reports saying that the death toll has reached 230 by early Monday morning local time. "I felt a strong jolt on my fifth-floor home and some small objects in my home fell off the shelves," a resident of Ludian told official Xinhua News Agency. About 12,000 homes collapsed in Ludian county, where some 429,000 people live and that is located around 366 kilometers (277 miles) northeast of Yunnan's capital, Kunming.